Double Face - Sennyu Sosa-hen is the first part of the remake shown on 15 Oct. 2012 on TBS. The second and final part of the SP, Double Face - Giso Keisatsu-hen was shown on 27 Oct. 2012 on WOWOW. A New Attitude. "Needless to say, Double Face was created by two different TV stations working together, which was never done before. It was created by both TBS and WOWOW, and aired at each broadcasting station. I think this new tactic will be the centerpiece of this experiment. I feel that TV is being pushed from the other media now unlike before. In such an era, a drama like this to come out into the world is very experimental, and I was able to see a new attitude. The month and a half of filming was very exciting for me. I believe the quality of the end product will be very good, too, and the "Okay!” given by the director also proves that, as well. Please enjoy..."
Like a dream come true. "I was personally a big fan of the original work, and I was also a fan of undercover officers, it was like a dream come true.... (With regards to co-star, Kagawa Teruyuki) I always had the impression of Kagawa-san as a ‘serious actor.' Had an image of him as someone who creates the part until he is satisfied and gives his 100%. And after working with him, I was able to feel it even more strongly." Double Face - Sennyuu Sosa-hen [SP1] (TBS Drama Special, Fall 2012) is a remake of the critically-acclaimed 2002 Hong Kong hit movie, Infernal Affairs. 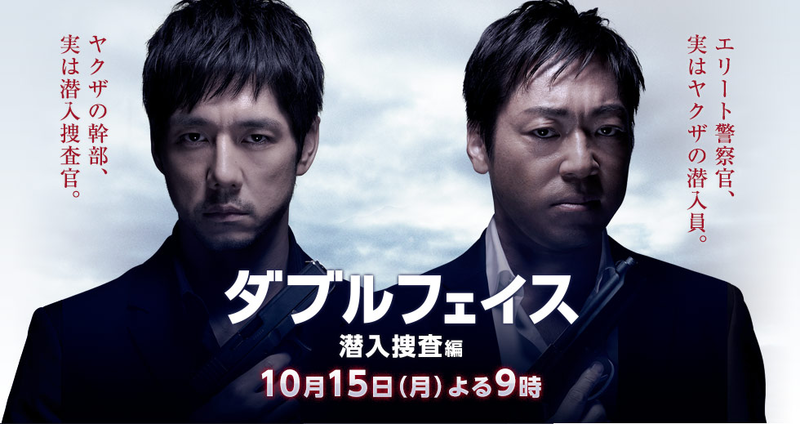 It stars Nishijima Hidetoshi as Moriya Jun, a cop who has been tasked to go undercover as a gang member of a local organized crime group, the Oda-gumi. The assignment was supposed to last for three years but had been extended to three more, plunging Moriya deeper into the life and psyche of a gangster, which is something he truly detests. He implores his boss, Police Superintendent Onodera Tsutomu (Kadono Takuzo) to let him go back to being a cop. Onodera refuses but promises to give his identity back as soon as he give leads and evidences that can finally help bring down the entire crime organization. Meanwhile, Oda-gumi's leader, Oda Hironari (Kohinata Fumiyo) is gearing up for a major drug transaction with a foreign gang. He is confident that everything will go smoothly since he also has his own 'mole' planted in the police force - Police Inspector, Takayama Ryosuke (Kagawa Teruyuki). Takayama has been cunningly tipping Oda important info regarding police investigation of their activities. Moriyama and Takayama, both spies working for 2 extreme opposite sides. How long will each be able to pull off his deception? Double Face - Sennyu Sosa-hen is the first part of the remake shown on 15 Oct. 2012 on TBS. 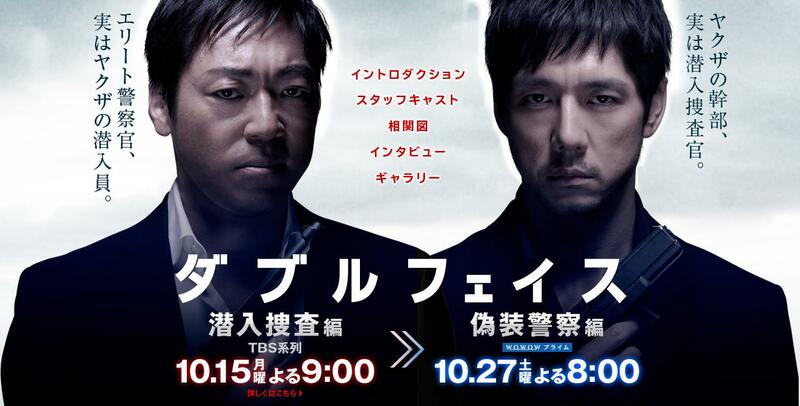 The second part of the SP, Double Face - Giso Keisatsu-hen will be shown on 27 Oct. 2012 on WOWOW.